Making the choice to clean your windows yourself can be overwhelming and daunting. Look to the pros to care for this. Here are some things to consider. When your House Window Cleaning Houston are not cleaned on a regular basis. Environmental changes occur through rain and other pollutants that may cause hard water stains. So, we have a process to remove the hard water stains from your windows if you request the service. Furthermore, it is an additional charge to clean these windows. However, having us remove the stains from your windows will keep them maintained as we provide the services that you need. As stated earlier each job is determined by the signs of the home or Windows. Therefore, costs will vary from job to job and how long of time it takes to clean House Window Cleaning Houston. Call one of our technicians or operators they will be able to explain to you. In addition, you can fill out a form giving us your address and we will be happy to come and give you a free estimate. However, working weekends at Window Cleaning Company Houston 832-639-3434 we do have some availability on the weekends. Meanwhile, weekend appointments are on a first-come first-served basis. Otherwise, we will try to accommodate you as much as possible but please keep that in mind. Still, we treat every customer’s home or business with the utmost care as if it were our very own sometimes even better. Of course, we want to give you top quality service with safety as our goal. Nevertheless what we provide is quality service. Do I need to be at home if I get my windows cleaned? 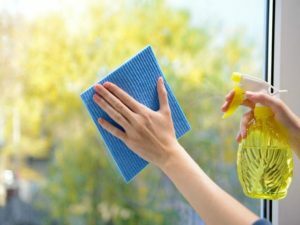 Presently, if you feel comfortable leaving us at home we will take care of your House Window Cleaning Houston and clean your windows with honesty and integrity. Shoe covers by entering your home we don’t want to track in any dirt or debris. In addition, as you can tell our services and our safety is top quality and we make it our priority. Similarly, what we suggest if you have a concern on being at home by getting your windows clean. Ultimately, sometimes we can start on the inside first. And if you have an appointment then you can leave and we can finish the outside. Next, we recommend a minimum of getting your windows cleaned on a regular basis at least twice a year. Above all, that it is highly recommended that you get your windows done much more regular than that. For that reason, is that it will prevent debris, hard water stains, from developing on your windows that’s maintaining a perfectly clean window year round. Most of all, we will be happy to send you a reminder of when it is time or do to get your windows cleaned. Likewise, by giving us your information telephone number and email address we will ensure that we keep in contact with you on a regular basis just to provide your window cleaning experience. Residential window cleaning we take that very seriously here in the Houston area and we think no one else does a better job. In fact, we have been around Houston for over 20 years taking care of House Window Cleaning Houston or Commercial window cleaning accounts. As a result, you can be absolutely sure that no one will damage or steal your property or items in your home or office it is our guarantee we provide honest services. Actually, that is why we carry insurance to cover any accidents that may happen we want to ensure that you are happy with the level of service that we give you. By the same token, we take that very serious. No one wants to be cheated when it comes to the services that they received from anyone. Therefore, we will do our very best to always over-deliver. Yet, giving you quality service making sure you are completely satisfied and happy. Rainy day if for some odd reason it rains or thunderstorms then we can reschedule for another time. Presumably, sometimes we can clean the inside and come back. Also, finish up on the outside the next day or two days later. No doubt, if you haven’t gotten your windows cleaned in a long time chances are your screens need to be clean and we provide that service as well. First of all we want to ensure that every customer is completely satisfied. The additional services we take care of our getting rid of cobwebs bugs and any other debris on your window or window sills. Rather, our commercial window cleaning will provide you with excellent service. That makes your business one that others will want to deal with on a daily basis. Too also, we have the latest technology and window cleaning. From the ground up we use or have equipment that uses technology more advanced than the brush and squeegee. Finally, your window frames and glass and the surrounding areas will be clean to perfection. Consequently, those difficult-to-reach areas are no problem. Most of all, we can take care of your House Window Cleaning Houston needs for your commercial. Most noteworthy, we can provide same-day service. If you have a regular service maintaining your windows and keeping them clean this will attract more people into your business. Then too this will be leaving you less to worry about when it comes to cleaning your windows yourself. In the end, use Window Cleaning Company Houston at 832-639-3434 as your window cleaner for both Residential and Commercial.